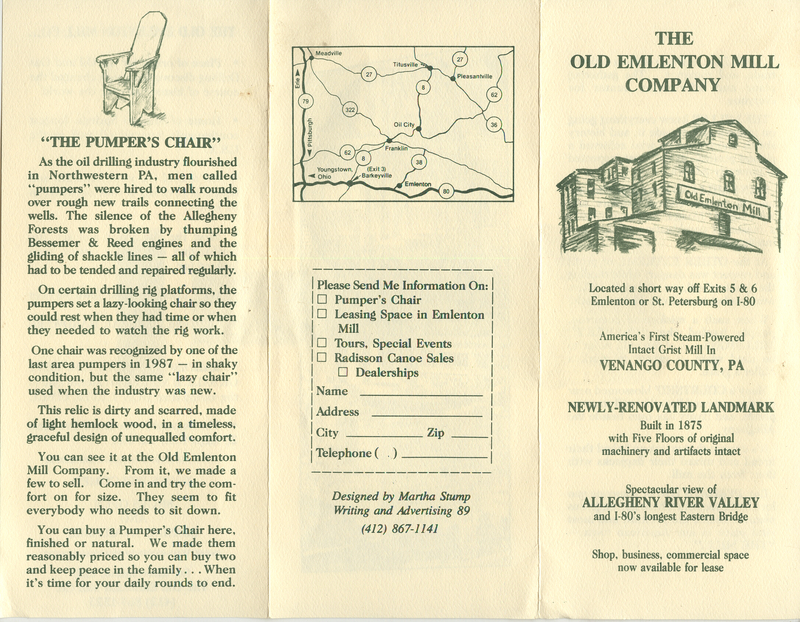 This is a 1989 brochure for the mill designed by Mrs. Stump. Note the 412 area code and the mention of the Barnard House bed and breakfast. 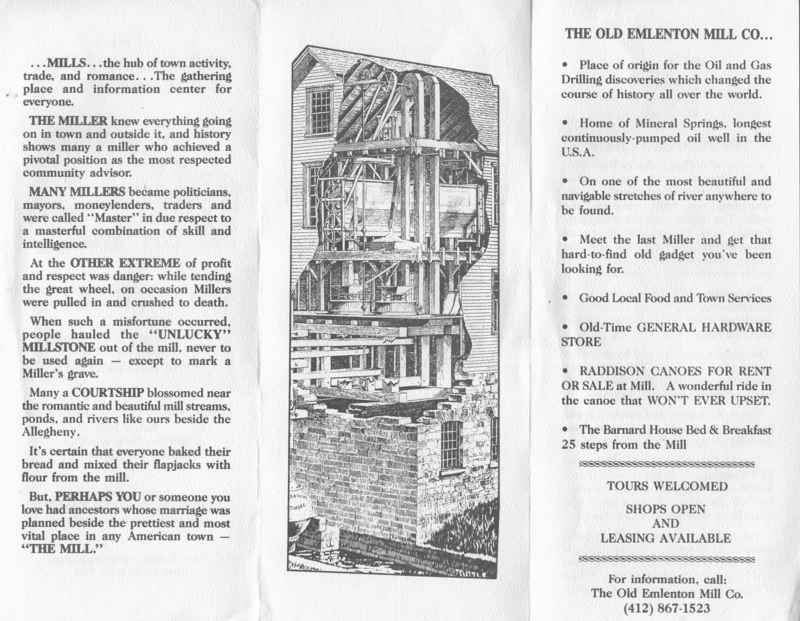 Mrs. Stump also did the sketch of the Mill.